Europe is a diverse place – Customize Europe Shirts for yourself or your group. Select from the range of motives of our shop but tweak it your way! A Europe Shirt as well makes a great gift idea for friends as family. 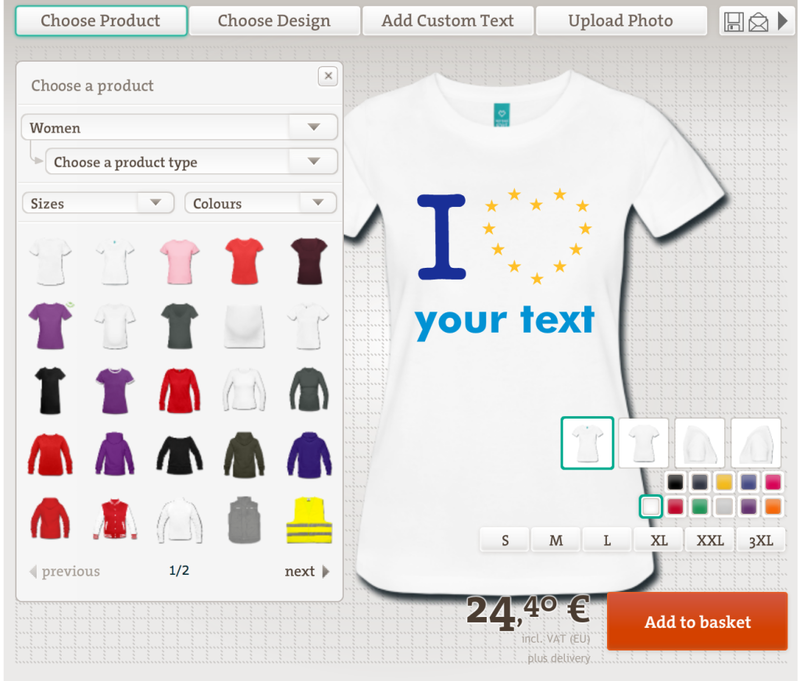 Create and buy personal Europe shirts, hoodies, sweatshirts and more within minutes – choose your color, design and even print your own text on the product of your choice. Start Up the Design Engine!